Jackson Hogen of RealSkiers.com talks about naming skis of the year and the fallacies of doing so. 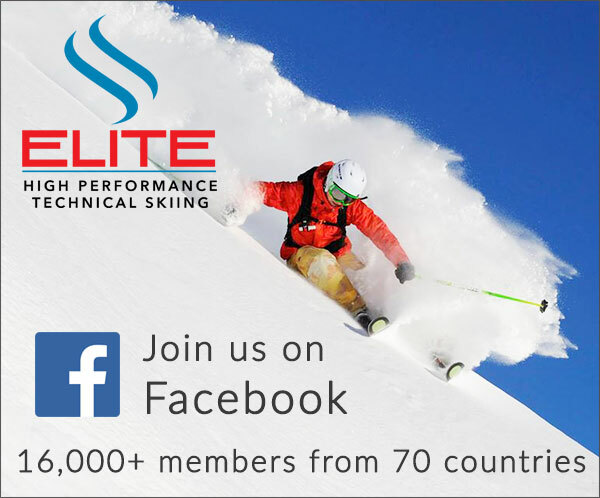 Please share with your ski enthusiast buddies. With the holiday season upon us, it’s time to unwrap Realskiers‘ picks as the best skis of 2018. Nothing seems to galvanize reader interest quite like a selection of a Ski of the Year; if you want the very best, you need to know what to ask for, right? Wrong. There is no such beast. For a single model to be perfect for all skiers, it would have to possess infinitely variable adjustments for flex, sidecut, baseline and mass distribution, for starters. Such a ski may be under ultra-top-secret development somewhere, but its introduction is probably still several seasons off. While “best of” lists are whopping good fun and a handy way of cutting through the fog created by a market over-loaded with 100’s of choices, they often serve more to obfuscate than clarify. The pretense that there’s a single model with performance head-and-shoulders above the crowd is an insult to all the other brilliant models extant as well as to the intelligence of the skiing public who ought to realize that every brand strives to make the very best skis it can. The obvious reason a Ski of the Year award is a bit of inspired madness is that all skiers do not ski alike. 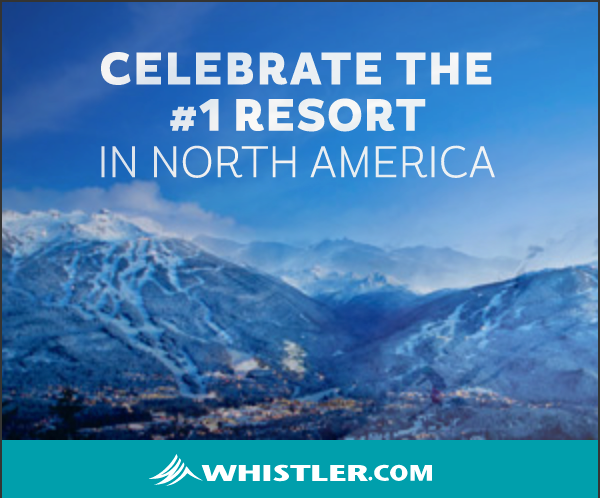 Observe skiers on any slope in the world and you’ll see a wide variety of skills and styles. Each skier has his or her own definition of what constitutes a great ski day. To imagine that all would be equally happy on the same equipment is folly. Some skiers have limited ambitions on the skills development front and so have little use for a ski more talented than they are. But what if we winnowed down the universe of skiers to the select who possess both grace and power? 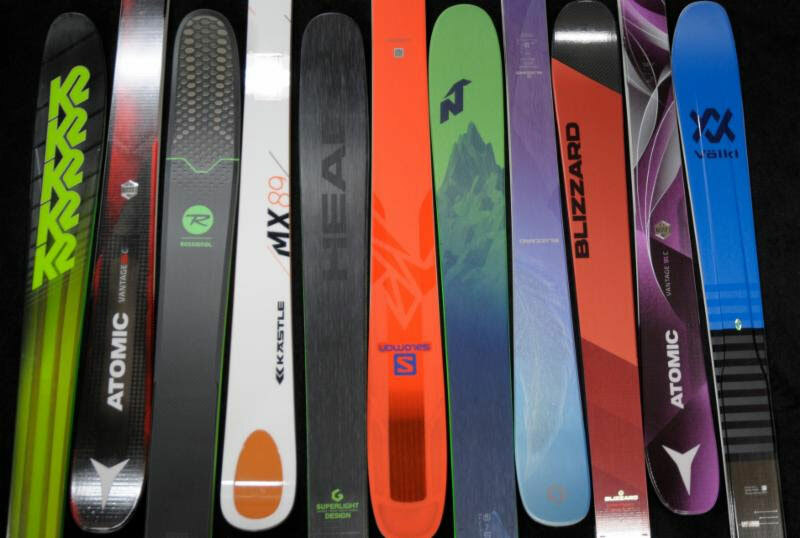 If we are identifying the best ski for experts, why wouldn’t that work? Because while experts share some traits, they aren’t homogeneous by any means. At a minimum, there are two sub-genres of experts: those who extend their feet from the body’s centerline, tilt their skis to a high angle relative to the snow surface and drive the skis rather than just standing on them, versus those who keep their feet under their shoulders, use relatively low edge angles and allow their weight and speed to generate the force required to direct the ski. Special requirements add elements that this basic divide ignores, such as skiing in reverse for Pipe & Park acrobats or climbing for skiers who ascend whatever they want to ski down. Skis for these activities will perforce include design features that other alpine skis don’t have to take into consideration. As technology and new combinations of materials continue to advance, it’s become harder and harder to find a bad ski. It’s not hard at all to find an inappropriate ski that’s ill-suited to the skier’s skills and/or terrain preferences, but it’s become more difficult to find a poor ski than it is to identify an exceptional one. For readers of Realskiers.com, the question of which are the best skis of 2018 was answered when this year’s reviews were posted two months ago. In each of seven categories we listed our Recommended skis in order of their finish for either Finesse or Power properties. We consider any Recommended ski to be a potentially perfect match for the skier defined by the genre in question. I realize that anyone hoping to read about the best ski of 2018 isn’t likely to be thrilled when told to “look it up,” so in the spirit of identifying the outstanding rides of the current season, here are some of the brightest stars in the 2018 cosmos of alpine skis. These are a few of our favorite skis of 2018. The Lighter is Better market trend shows no signs of slowing down. There’s no better embodiment of this movement than the Head Kore series that has completely transformed the brand’s identity in the Big Mountain arena. The Old School wood-and-lots-of-metal era is over, displaced by Graphene, Koroyd and Karuba. When Nordica added the 110 to its growing Enforcer family, it didn’t just make a bigger 100; it built a new core with two sheets of Titanal that didn’t weigh any more than the old Patron it replaced. Bravo! Nordica pulled off a similar trick with the latest Santa Anas, vaulting these women’s models into the first rank. Ski makers are always on the lookout for a technical modification that will reinvigorate the product without requiring all new tooling. Völkl hit the jackpot with 3D.Glass, a seemingly simple addition of a glass bottom layer with a nifty tweak that turned it into the bottom half of a torsion box. Every ski that got the 3D.Glass treatment measurably improved edge grip and rebound. One measure of the best ski of the year is how well it sells to the target skier. Blizzard’s Black Pearl is the reigning top seller in America, a unique distinction in the annals of women’s ski sales. The secret to the breadth of its appeal? There’s almost no question that begins, “Is it good for…” to which the correct answer is “no.” Women from intermediate to advanced, on hard snow or soft, find a companion who suits their style. In the Golden Age of Rocker, finding a baseline that delivers an elastic spring off the edge is a challenge. Beneath its dazzling exterior, the heart of the Super 7 HD is a reinforced fiberglass arch that reacts to loading like a damp slingshot, sending the skier sailing across the fall line and into the next arc while the skier stays centered, grinning, and tries not to choke on the snow flying over both shoulders. If you think rocker is a crutch and long for the days of tip-to-tail camber, Kästle makes an exquisite time capsule that will transport you back to the days of total connection to the snow. The MX89 isn’t trying to be ultralight, or smeary or God forbid, double rockered and twin-tipped. It’s a technical skier’s ski with all-mountain dimensions, like a Ferrari with an off-road suspension. Bring your skill set and give it the gas. By the time most ski lines hit the $399 price point, most of what makes a $699 ski worth the extra simoleans has been jettisoned from the design. The Nordica Navigator series, defying conventional wisdom, retains the same essential construction as it drops from price point to price point down to the $399 floor. The Navigator 80 is a softer-flexing ski than its beefier brothers, but this is more help than hindrance to the target skier, who gets a Titanal layer in a category normally bereft of this valuable material. In the current American market, more skiers are looking for a versatile all-mountain ski instead of Frontside model like the Navigator 80. Atomic has the all-terrain bargain hunter covered with the Vantage 95 C and Vantage 95 C W for women. The relationship between their normal retail price of $499 and their on-snow performance is weighted heavily in the skier’s favor. K2 has always understood that skiing is hard enough without your gear making it harder. The Pinnacle 95 is the latest incarnation of this attitude, an all-terrain ski that comes as close to auto-driving as we’re likely to get until Elon Musk takes an interest in the sport. In a category bristling with choices for the aggressive Power skier, the Pinnacle 95 stands out as a refuge for the skilled skier who wants to extend his ski day, not cut it short due to fatigue. Our methods aren’t designed to capture data on every small-batch producer, but we do look for emerging brands with sustainable quality. We love what we see at Faction, particularly in the Dictator series of all-mountain skis. The Dictator 3.0 has two sheets of Titanal around a Paulownia/poplar core, with a baseline that seems to conform to whatever it’s rolling over at any moment. A terrific blend of agility, float and easily accessible power. Right out the gate, I confess I have no business picking a favorite race model, as there could not be a less authoritative resource on the subject. This selection is based solely on a bond between man and ski that seemed to blossom on the first turn and only grow more intense the more fuel I added to its fire. The immediate sensation of trust inspired a center-of-the-storm calm as velocities climbed well outside the recreational realm. You step off the G9 feeling renewed, elated, awed. I could try to break down into little, analytical tidbits exactly what it is I find so appealing about this duet of skis, but it’s akin to attempting to parse the human heart. We understand what it’s made of and how it works, but no one can never fully explain it. Over a period of time, a relationship develops and one day you wake up in love. Suffice it to say when on hard snow or crud, I want unlimited power, and when in powder or lightly tracked conditions I prefer ease. If you liked this article, please visit realskiers.com for much, much more, including reviews of 216 2016/17 skis and comprehensive comments on 94 families of 2017 boots. Where Are Rear Entry Boots Now That We Need Them?